As architects of the digital future, communications service providers operate in one of the most competitive, high stakes markets on the planet. The technology and business landscapes change constantly, yet you have to make strategic bets that play out over years and lead to either sustainable, competitive advantage or to ‘bit jail’, where your business can only monetize circuits, kilowatts, and packets. If you are an executive or network owner, the dilemma is clear – how do you modernize and monetize at the same time? The key to the future lies not with the network infrastructure itself, but in the data from the traffic that crosses it. 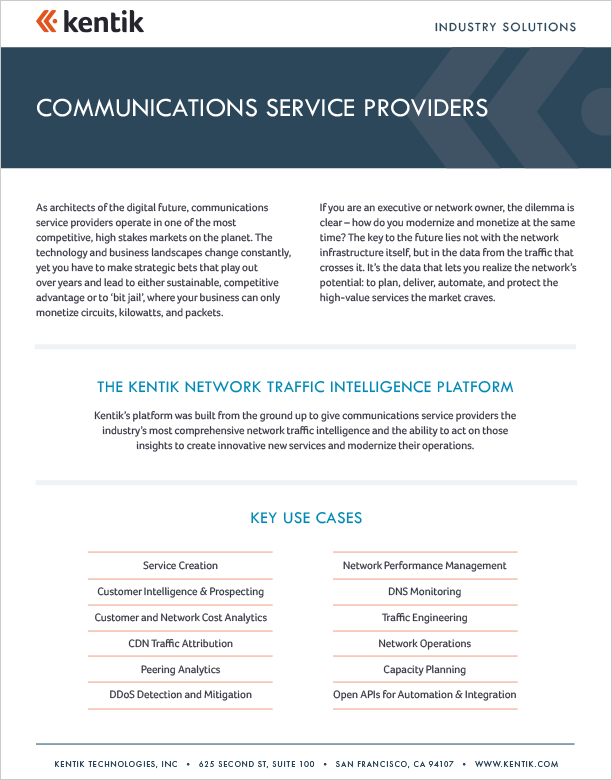 It’s the data that lets you realize the network’s potential: to plan, deliver, automate, and protect the high-value services the market craves.